Théâtre National Bruxelles has 3 concert halls, multifunctional rooms, various rehearsal rooms, a studio… A lot of collaborations and new shows with other Belgian or international theatres having their roots in Théâtre National Bruxelles. With various theatre, music and dance shows playing there, they were looking for some multifunctional products. Théâtre National Bruxelles chose the UltraLite-mk4 USB audio interface with 40 simultaneous I/O channels (18 in, 22 out). It delivers exceptional sound quality, new ultra-low latency drivers and expanded DSP for studio-grade mobile audio recording. They also chose the 828x, a professional 28x30 audio interface with Thunderbolt technology. 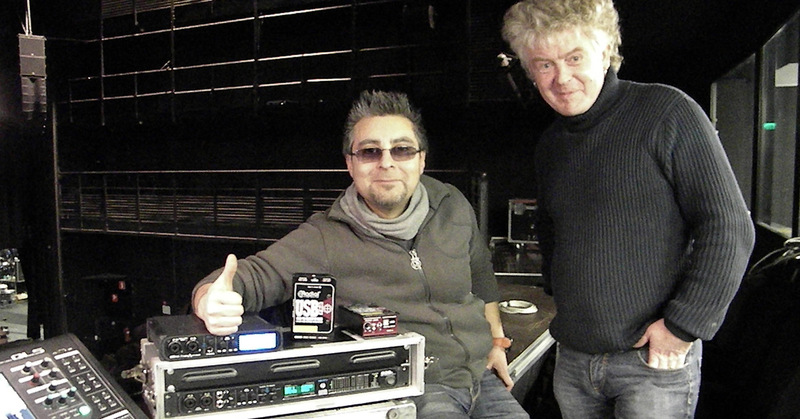 For Jeison Pardo, Sound Manager at Théâtre National Bruxelles, it’s very important MIDI I/O is integrated in the system. “It’s an easy to use software and it’s compatible with PC and Mac. With 28 inputs and 30 outputs we can connect all our gear with one product. Above all, the quality of audio is great which makes it great value for money”, continues Jeison Pardo. They chose the Radial USB Pro because of its great sound quality, comprehensible features and durability. The Radial USB-Pro is a high-resolution stereo digital audio converter (DAC) and direct box that is designed to connect to any computer system to seamlessly transfer digital audio to analogue. A stereo pair of balanced XLR audio outputs with adjustable level control then feeds the signal to a microphone preamplifier, PA system, mixing console or even a powered speaker. The sound quality, comprehensive features and durability makes it the perfect fit for Théâtre National Bruxelles.